We ask for attention of European customers looking for Laser Cutting Machines, as BODOR laser is attending a local event in France. Tolexpo is an international show for sheet metal, coil, tube and section, held simultaneously in France. TOLEXPO targets a cluster of industries that have been almost universal in their praise for its integration into GLOBAL INDUSTRIE. Do not miss the 2nd Edition of GLOBAL INDUSTRIE at Eurexpo Lyon where MIDEST, INDUSTRIE, TOLEXPO, SMART INDUSTRIES will be reunited again. Bodor will show with the latest machines. 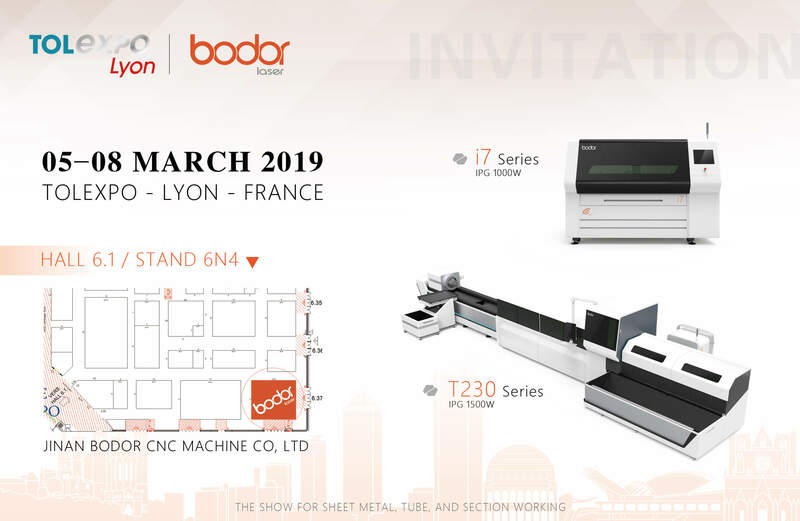 Welcome to visit BODOR at Lyon TOLEXPO 2019!